The Fosdick-Nelson Gallery, housed in the School of Art & Design at Alfred University, is a vibrant learning center for the visual arts. Rotating exhibitions highlight work by established and emerging artists working in New York, the United States and abroad. Located in rural western New York, the Gallery is the only established contemporary art venue within a sixty-mile radius for the community to experience a diverse mix of art first hand and participate in an exciting forum of contemporary art and culture. 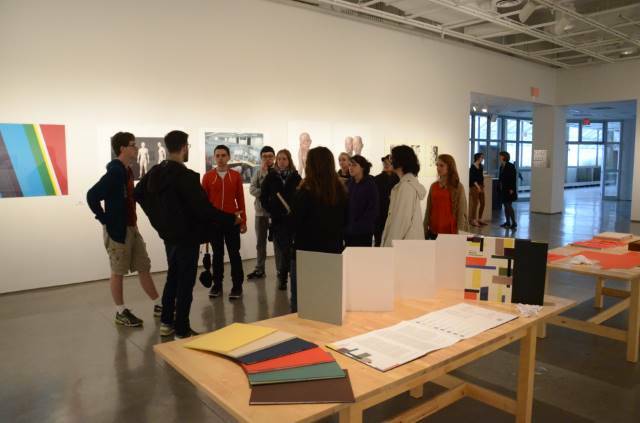 Extended programming, including gallery lectures and special projects, gives students and members of the community an opportunity to engage with artists, curators and scholars. Visit the Fosdick-Nelson Gallery webpage.